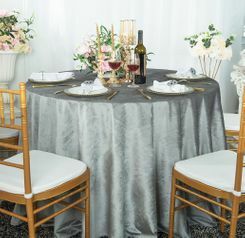 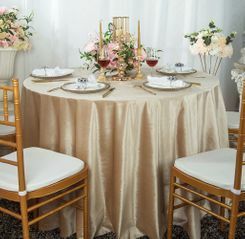 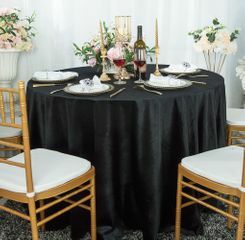 Round 120" Velvet Tablecloths, Velvet Table Covers, Table Cover Linens WholesaleFree Shipping over $150 - US 48 Contiguous States! $9.98 Flat Rate Under $150 - US 48 Contiguous States! Our Italian velvet tablecloths boast exceptionally high standards of quality and can elevate any plain old event into one of elegance and glamour. 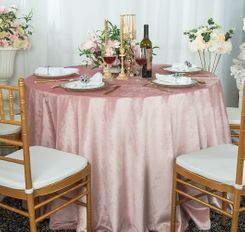 Transform your wedding or banquet into a silky soft heaven by upgrading to our exceptional velvet table covers, which were meticulously made with careful attention to detail. 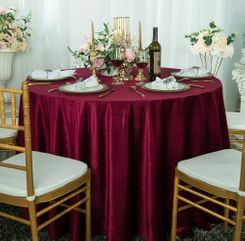 Our 120 inch round velvet table linens have the added bonus of being seamless, so you don't have to worry about any distracting seams.